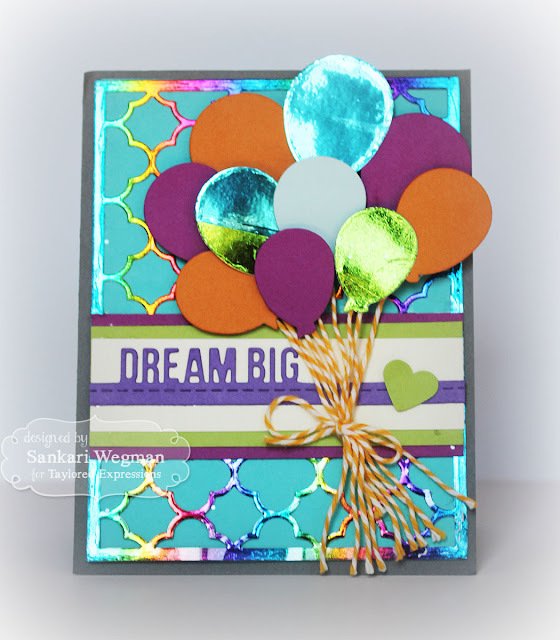 Sankari's Sunshine Corner: Dream BIG Giveaway!!! I have a special project that I made using the Deco Foil from Therm O Web!! Taylored Expressions and Therm O Web are partnering and there is a special giveaway that is up for grabs!!! 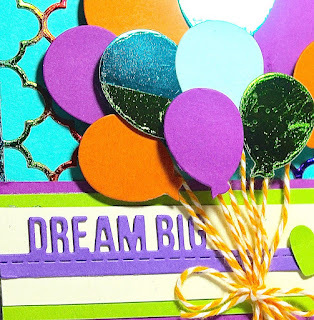 I started off by cutting the balloon shapes with the Make A Wish balloon dies with different colored cardstock in different sizes. I adhered some of the different colored foils to the Toner Sheets and then ran them thru the Big Shot and like magic the foil cut balloons came out of the dies!! So cool!! I did the same for the Quatrefoil Cutting Plate and it was so so so so cool to have a foil based cutting plate! 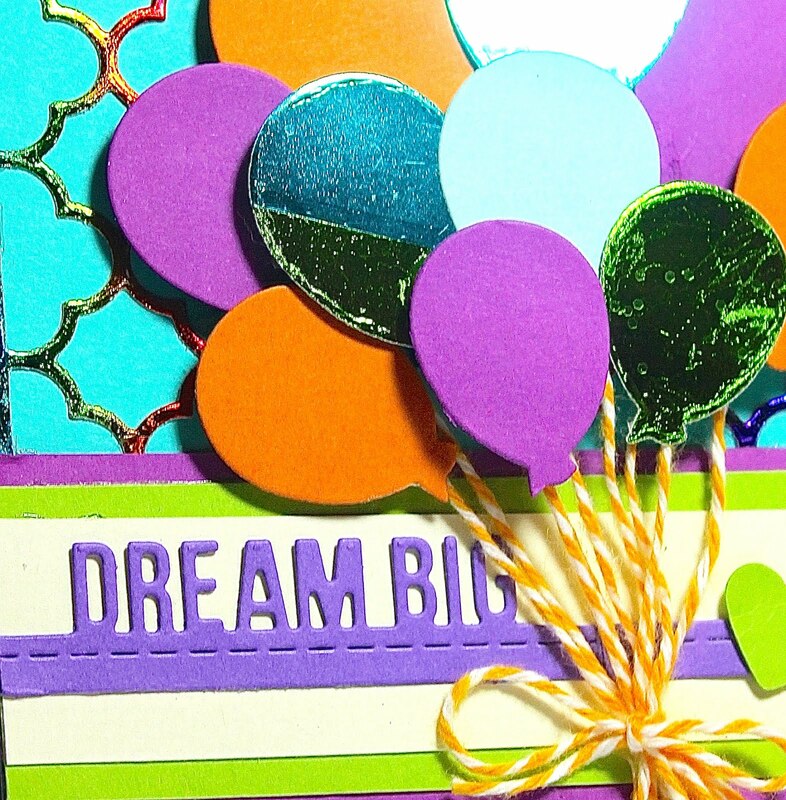 Here is a close up of the balloons and cutting plate where you can really see the sheen and shine!!! Taylored Expressions will be giving away a Deco Foil Prize Pack and Therm O Web will be giving away a $50 Gift Certificate to the Taylored Expressions Store. 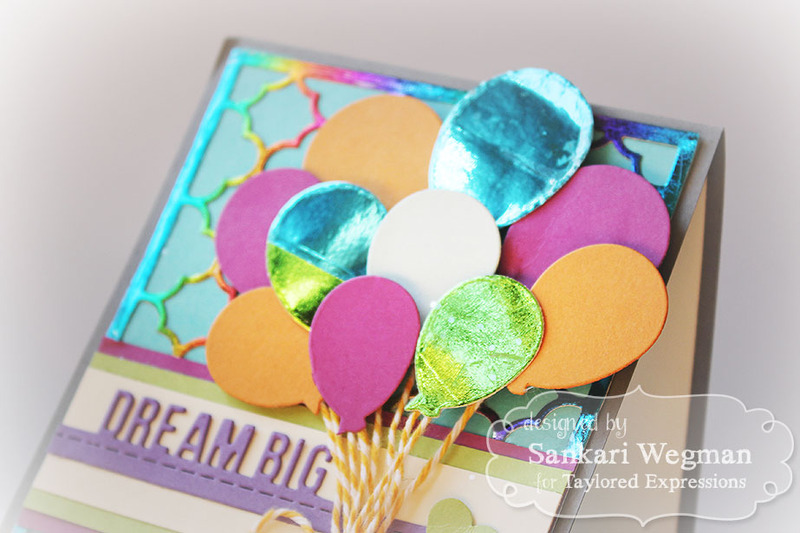 Details on how to enter can be found on the Taylored Expressions blog and the Therm O Web blog. There are a ton of inspirations this week on Taylor's Blog from all the different designers using these gorgeous products! Please hop over to Taylor's Blog to check out more details!! !